I’ve never been much of an alcohol drinker, but I make an exception for today’s recipe. My neighbor Ann introduced me to gin (and my newfound love for gin an tonics and gin rickeys), and I bought my first bottle. 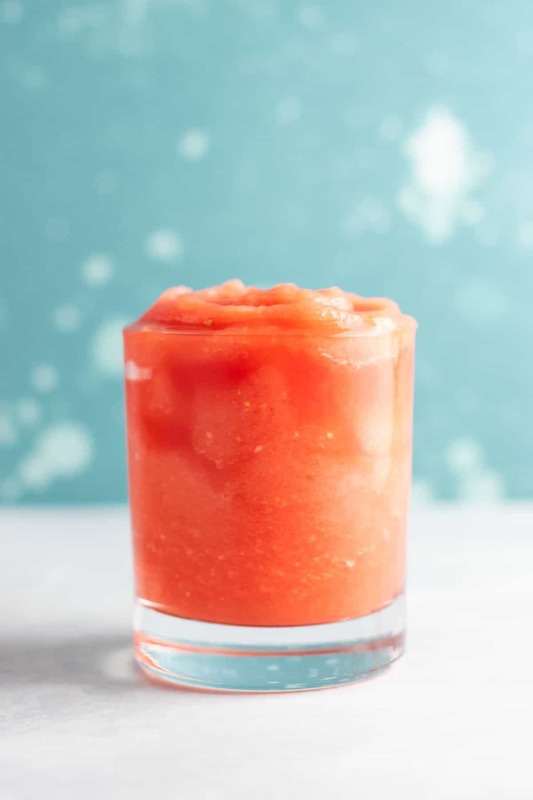 What started as just gin and tonics led me to experimenting with different fun flavors and creating this watermelon slushie recipe. 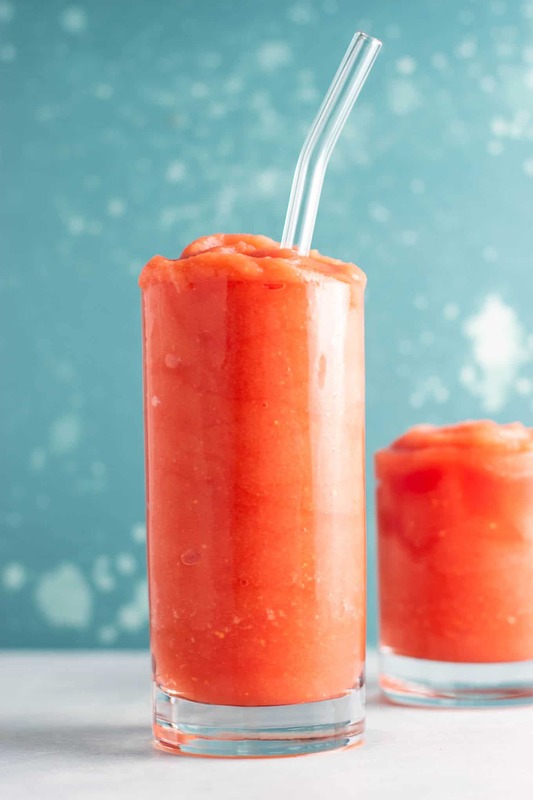 This watermelon gin slushie is so ridiculously good. I’m calling it my summer drink of choice! Not only is it easy to make, but it’s actually pretty darn healthy. 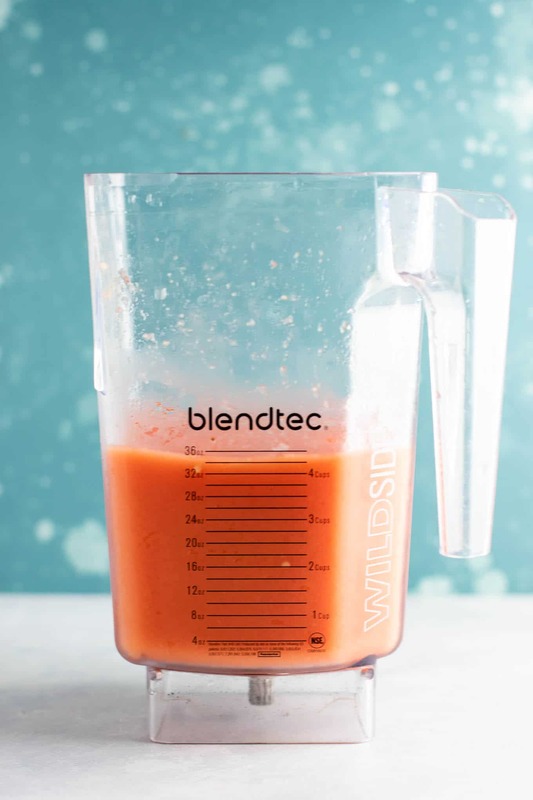 If you want to stay healthy while still enjoying a drink now and then, this recipe is the perfect way to do so! 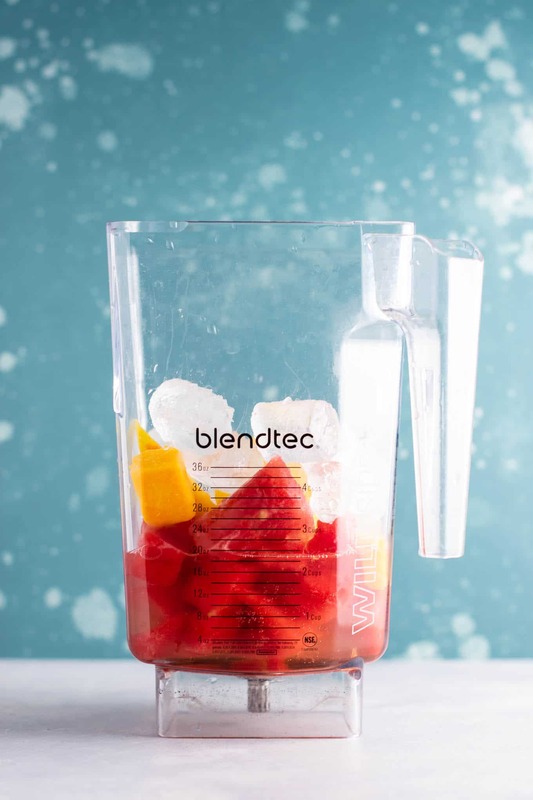 Just add all ingredients to a high speed blender and blend until thick and and icy. Serve with spoons or straws. Gin goes so well with everything citrus-y, so I added in frozen mango and peaches for that extra punch of tropical goodness. Sparkling water keeps it lower calorie and low in sugar and maple syrup adds just a touch of sweetener without being too sweet. 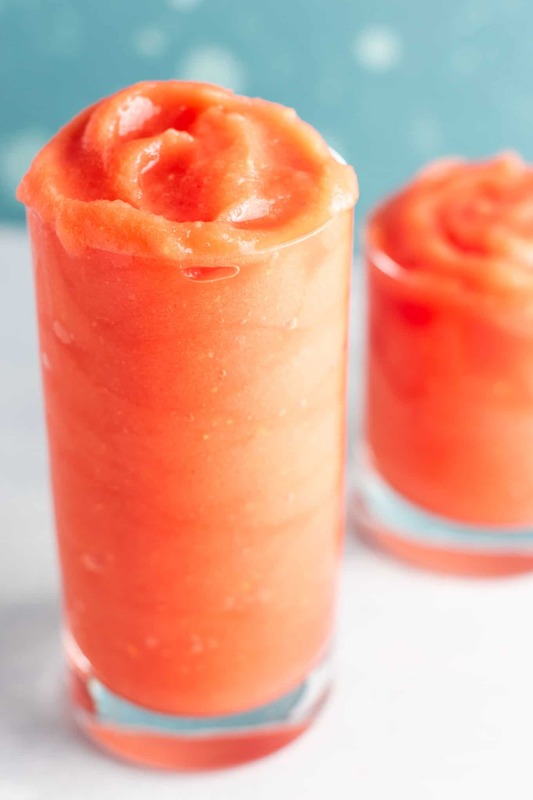 I love making drinks with frozen watermelon and all summer long I’ll have watermelon both in my fridge and freezer. Anyone else obsessed with watermelon? I could eat it all day long! 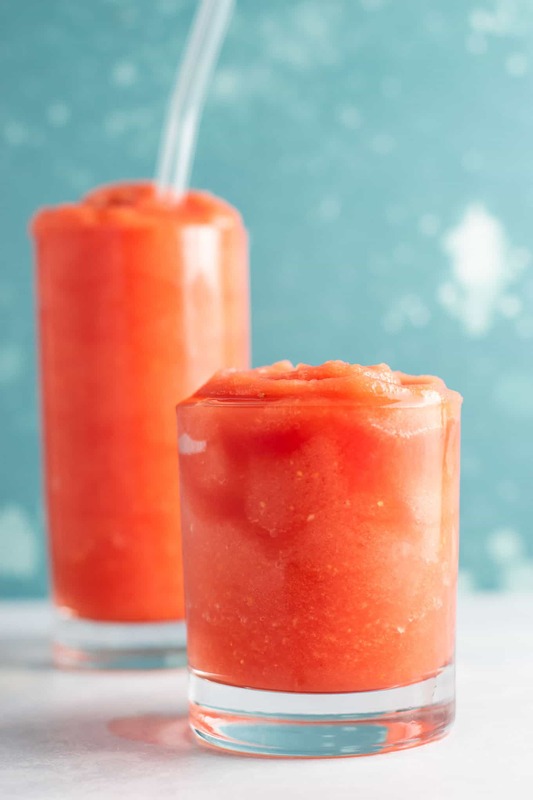 For a nonalcoholic watermelon drink, you can make my frozen watermelon lime coolers which are also another favorite of mine! I want to hear from you! 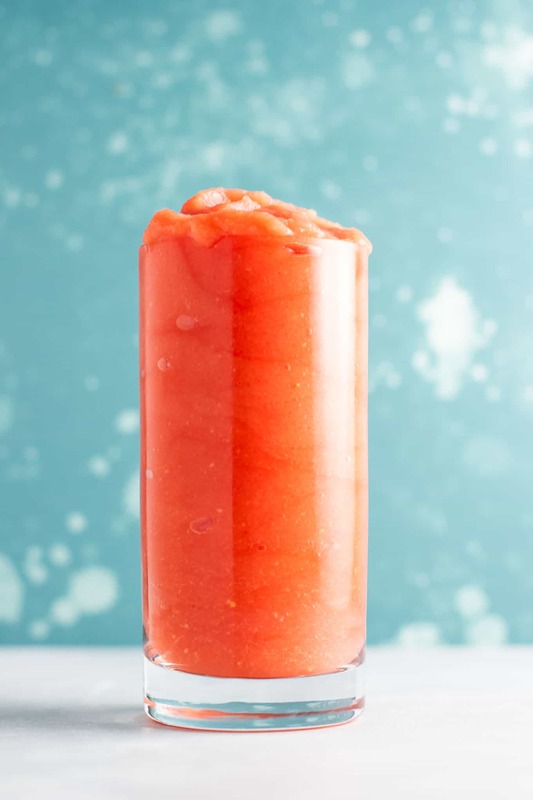 Have you tried frozen watermelon in drinks? Let me know in the comments! If you love gin, be sure to also check out my Gin Rickey Recipe! 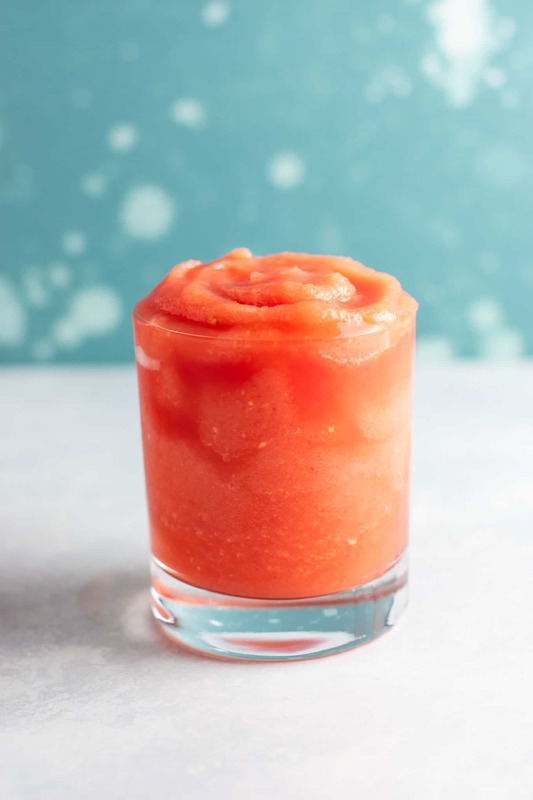 These tropical watermelon gin slushies are the perfect refreshing summer beverage! Yum! I’ll be making these this weekend!